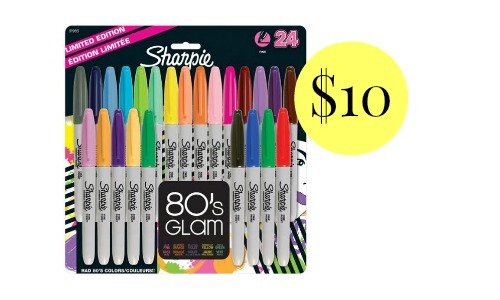 Home > Office Depot-Max > Office Depot-Max Online Deals > 24 Sharpie Markers for $8! 24 Sharpie Markers for $8! Here is another school supply deal to grab! You can get a 24 pack of Sharpie Markers for $8 (reg. $21.19). Use the code 74147800 to get the deal. This is a great item to have around the house for labeling things! Shipping is free on orders $35+ or you can get free in-store pick-up. The deal ends 7/16.